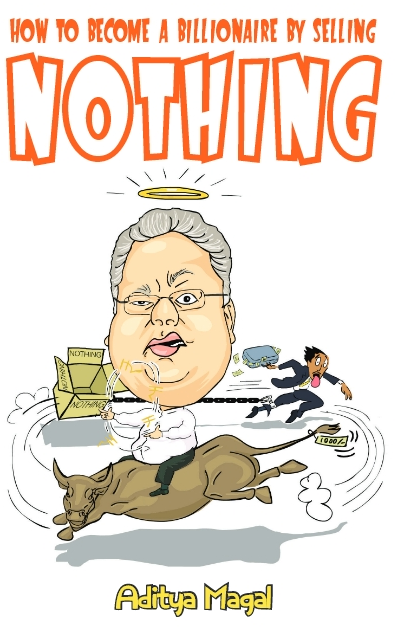 The Secret Journal of Rakesh Jhunjhunwala: WHAA! The Secret Journal Has An OPEN OUTLOOK On Hindustan Times! WHAA! The Secret Journal Has An OPEN OUTLOOK On Hindustan Times! OK, now this is height of invasion of privacy. Simply the Intelligence Failures are increasing day by day. But don’t worry people; I am immediately Increasing Security Across The Border. First it was Forbes Magazine. Now everyone else is behind me and my Secret Journal. A few days later Hindustan Times found out about my Secret Journal and my Secret Tweets. Then it was OPEN Magazine detailing my happy experiences as a family man. Now it’s OUTLOOK Magazine calling me a piquant puncher. But why do these JOURNALISTS not get that mine is a Secret JOURNAL and not a Secret DIARY?! Eh! It’s a conspiracy I tell you, but you people should read about me in these magazines immediately. A big Thank You to Hindustan Times, OPEN and Outlook ! I am happy that I gave them the chance to cover my scintillatingly great life. No wonder I am great.